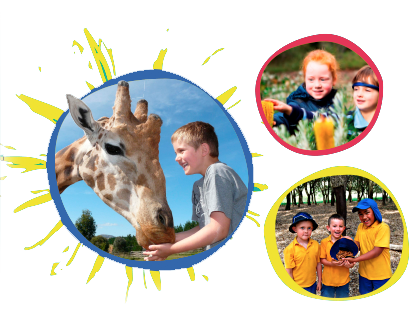 On this website you will find all you need to know about planning a school excursion to Canberra including information about the national attractions and their programs, accommodation options, tour operators who can assist you with booking your excursion, recreational activities and so much more. The National Capital Educational Tourism Project aims to encourage schools to see the wonderful opportunities available for educationally valuable school excursions to Canberra. Canberra, Australia’s National Capital is the home of the Australian story, and the range of national cultural institutions and attractions providing education programs that can immerse students in hands on learning in the areas of civics and citizenship, science, history, geography, culture and art. We hope you find this website useful but if you need more information please feel free to contact our office. We also invite you to sign up for our quarterly e-newsletters for all the latest information about planning an excursion to Canberra. Subscibe to our e-newsleter to stay up-to-date with the latest news, events and special offers. My students love Canberra every year. It is the best excursion in Primary School. This Pass provides you, as an Australian teacher, with free access to the participating National Capital Attractions whilst visiting Canberra giving you time to explore the opportunities available for planning an educational tour. Subscribe to the National Capital Excursion news to stay informed of latest news, program developments, teacher programs, special offers and free resources.